I can take care of pay per click & Google Ads management services for your business in NYC. I’m Luca Di Lizio, Web Marketing Strategist & Google Ads (AKA Google AdWords) Consultant specialized in online advertising. I help companies with customer acquisition strategies and increasing online and offline sales. I created my first AdWords campaign in 2008 for my company and I immediately wanted to learn more about it, so I decided to go to New York University where I attended a Search Engine Marketing course and other courses, earning a Digital Media Marketing Diploma. 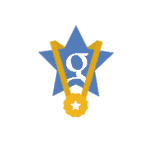 I earned all the individual Google Ads and Google Analytics certifications, renewing them yearly. I have access to the most advanced in-person and up to date Google Partners Academy Masterclasses available only to badged Google Partners agencies and consultants like me. I work with web experts, forming lean and fast teams to streamline projects for clients who are looking for onilne ads campaigns or 360° digital strategies. I plan and execute integrated digital marketing strategies to reach and intercept target users on the most appropriate digital media channels based on their interests, through market research, analysis of data and media planning. Awarded with the "Best in quality" award at Google Dublin EMEA HQ during the Power-up Awards Ceremony reserved to AdWords certified agencies and consultants with Google Partner Badge winners of the contest. I can improve your business’s online visibility with several online marketing and advertising services: Google Ads (AdWords), Bing Ads, Linkedin Ads, Facebook Ads, Instagram Ads, Google Tag Manager, B2B intelligence service and Analytics and tracking tags implementation. ARE YOU INTERESTED IN HIRING ME? DESCRIBE ME YOUR ONLINE CAMPAIGN GOALS OR YOUR ONLINE MARKETING PROJECT. The right mix is ​​essential for a Digital Marketing strategy that allows your business to gain visibility online in the right way. Let’s begin now. 2019 Copyright LDL DIGITAL MEDIA DI LUCA DI LIZIO P.I. 03830900241 Privacy.